PlanCon 2018 was a true success and only the beginning of a great, new journey of WFM best-practices and empowerment. If you haven't had the chance to attend the event, feel free to subscribe to the injixo blog and stay tuned for upcoming events and receive access to all the video recordings of our inspiring keynote sessions. Plan smarter is not only the slogan of the conference, it reflects our aspiration: to provide you with the tips, insights and best practices you need to skyrocket your success in Workforce Management. PlanCon is the first and only event of its kind as it is specifically designed to provide the inspiration, education, and connections you need to take Contact Centre Planning to the next level, through a mixture of inspiring keynotes, panel discussions and networking galore. Everyone who attended this event (e.g. AXA, NHS, Booking.com, Daimler, Arvato, Bank of Ireland, Hollywood Bowl Group, Specsavers, jet2holidays.com, Eurostar and many more) already knows, it is different from all other events in the contact centre industry. You can be sure that it’s not a one-time event. PlanCon 2018 in London was only the beginning. We plan to host PlanCons all over the globe specifically in the United States, Germany, United Kingdom and France. 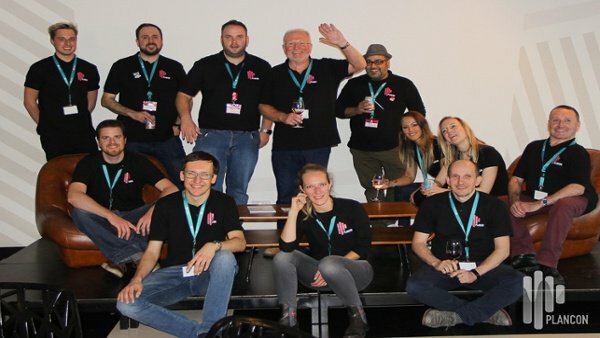 "Great event that was was an brilliant opportunity to learn"
"Informal but professional conference which provides opportunity to have in depth discussions on WFM in general but also specific topics and development of new features." "Honestly worth it; see you next time!" "A really worthwhile day, great to meet people from the sector and hear about the trends and happenings." "Excellent event hosted by injixo and planning experts, a great combination! Very informative and will be looking to attend future events of this quality." "Excellent presentations, excellent choice of speakers, up to date and relevant." "I am looking forward to #PlanCon2019. Let's hope it's at least half as good!"